Provide comfort for the family of Brian Yates with a meaningful gesture of sympathy. Haysi, VA- Brian Yates, age 54 of Haysi, VA passed away Sunday, April 7, 2019 at his home in Lexington, NC. Born in Buchanan County, he was a son of the late Kennith and Orpha Yates. Brian was loved by all who met him and never met a stranger. Brain changed so many lives for the better with all the joy he brought and has always been God’s special angel. His passions in life consisted of wrestling, puzzles, coloring, church and his family. He was of the Old Regular Baptist Faith. Survivors include a sister, Lisa Yates and a brother, Felix Yates, five nieces and nephews, Shannon and Jessica Deel, Robert and April Amend and Shasta Yates, three great-nieces, Jeslyn Deel, Emma Amend and Miley Yates. Funeral services will be conducted at 2 pm Saturday, April 20, 2019 at O’quinn & Deel Cemetery with Eddie Newsome officiating. Online condolences may be sent to www.haysifuineral.com Haysi Funeral Home is in charge of arrangements. 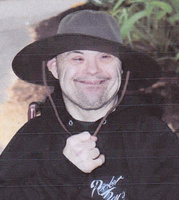 To send flowers in memory of Brian Yates, please visit our Heartfelt Sympathies Store. Provide comfort for the family of Brian Yates by sending flowers.